Gambling is considered the norm in most societies, there aren’t any exceptions. Highly religious communities across the world tend to look down at gambling and the individuals that engage in these types of activities and as such, there are some cases in which this type of endeavor carries a social stigma. However in most developed nations, gambling and betting is considered a normal fact of life, and those that participate do so on their own accord. One of the most notable domains in which betting is quite prevalent is that of sports. Today sports and the different expressions of it, such as traditional sports or extreme sports occupy a very important part of society for various reasons, be it just for simple support of people for certain athletes or teams which may result in emotional satisfaction or the possibility for financial gains for those who pursue it. These financial gains for most take the shape of a gamble. Individuals engage in betting by trying to guess a certain outcome of sporting events such as football matches, races and the like. The successful outcome of their bet can result in exponential wins depending on how much they risked, which makes it very alluring for many. Extreme sports are not an exception when it comes to betting. The high media coverage that these types of sporting events have been getting since the 90’s have made them fair game, so to say, for betting companies. 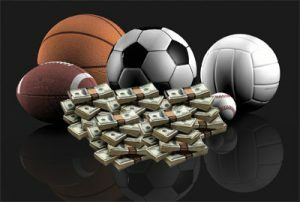 Like with all other types of sports, the process of betting can be done online from the comfort of the individual’s home. However, it should be noted that compared to traditional competitions, the betting around extreme sports is still somewhat limited in scope. In essence, with the increasing popularity of sports and increased following, betting on such events has become a real industry in itself, as it goes beyond simply betting and the outcome of said bet.